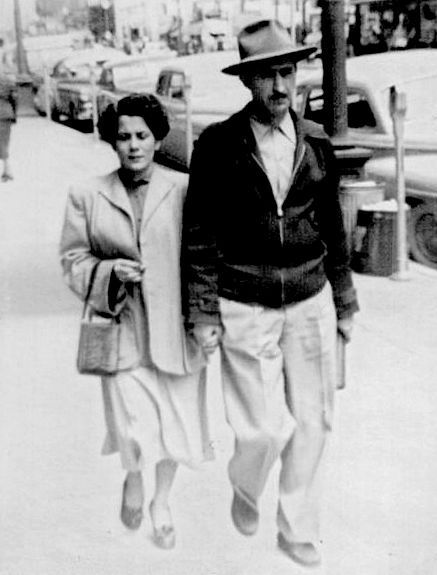 In 1937, Joaquin José (J. J.) 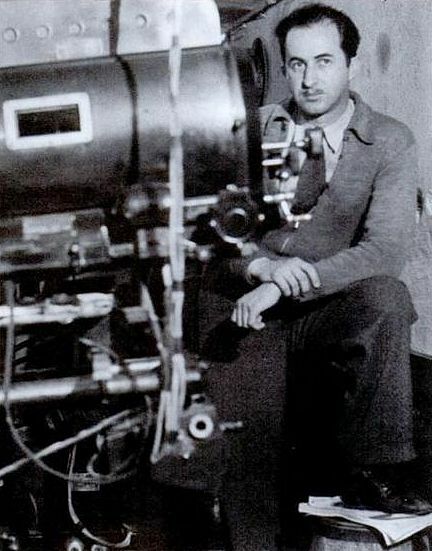 Rodriguez opened the first theater in Dallas to show Spanish-language movies. It was the Azteca, at 1501 McKinney Avenue, one block away from the still-there El Fenix. He soon changed the name to the Colonia and later to El Patio. 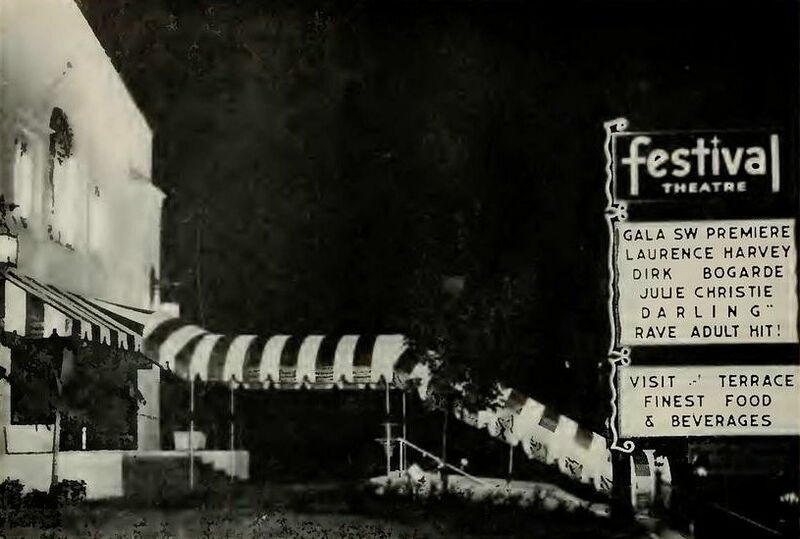 Even though a journalist later described this theater as being “dingy” and “unprepossessing” (DMN, July 31, 1944), the theater was quite successful, little surprise as the Hispanic community of the day was sorely underserved in almost every way. This endeavor was so successful that in the fall of 1943, the 36-year old entrepreneur made a big, BIG move: he bought the stunning and palatial Maple Avenue building that once housed the famed Dallas Little Theatre, an amateur theatrical group that had burst on the scene in 1927, but which had fallen on hard times in recent years. 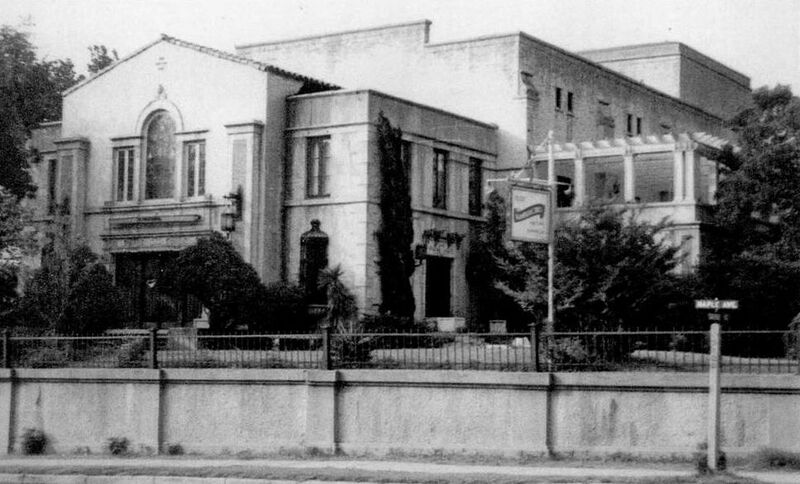 Rodriguez raised the necessary $35,000 (equivalent to almost half a million dollars in today’s money), bought the beautiful building at 3104 Maple, and renamed it Teatro Panamericano. The angle of the article that appeared in The Dallas Morning News on Sept. 22, 1943 announcing the new theater had the new moviehouse as being a boon to students and Anglo members of the community who might need to brush up on their Spanish rather than as a welcomed entertainment venue for the “Mexican colony” living and working in the adjacent Little Mexico neighborhood. After more than 20 years of running a successful theater that catered to his core niche audience, Rodriguez was persuaded to change the theater’s focus. Mexican families had slowly moved out of the neighborhood, many to Oak Cliff where the Stevens Theater on Fort Worth Avenue had begun showing Spanish-language movies in the early ’60s and had siphoned off a large portion of Rodriguez’s audience. In 1965 the Panamericano became an arthouse cinema which showed mostly subtitled European films (and, later, underground and cult movies) — these were movie bills which were clearly aimed at college students and an upper-class Anglo audience. The Panamericano became the splashy Festival Theatre. Another unusual misstep for Rodriguez at this time was his decision to open a drive-in that showed only Spanish-language films. What sounded like a great idea was another surprising failure for Rodriguez. 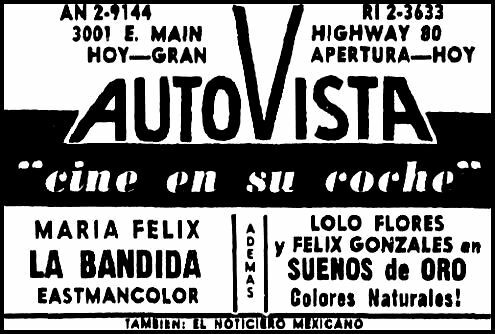 Despite its non-stop advertising in the first half of 1965, the wonderfully-named Auto-Vista (located in Grand Prairie) lasted less than a year. Rodriguez’s new-old Spanish-language theater — now the Cine Festival — was still popular, but it never regained its former glory. Rodriguez retired in 1981 and sold the property. Despite efforts by preservationists to save the beautiful Henry Coke Knight-designed building, it was demolished a few months later — in early January, 1982 — in the dead of night under cover of darkness (… that happens a lot in Dallas…). A nondescript office building was later built in its place. 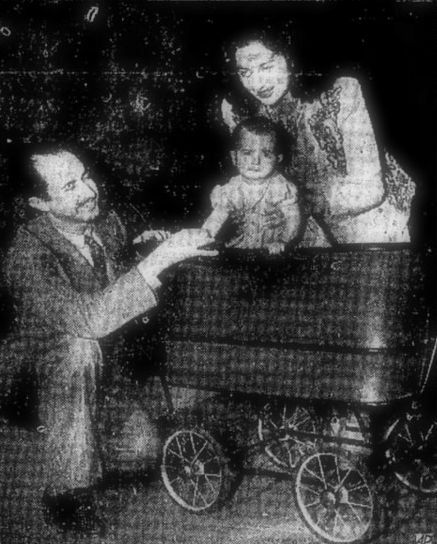 J. J. Rodriguez died in 1993 at the age of 86, almost exactly 50 years after opening one of the most important entertainment venues for Dallas’ Hispanic population. He was a respected leader in the community and was for many years president of the Federation of Mexican Organizations, an organization he helped found in the 1930s. His theater was both culturally important and beloved by its patrons. 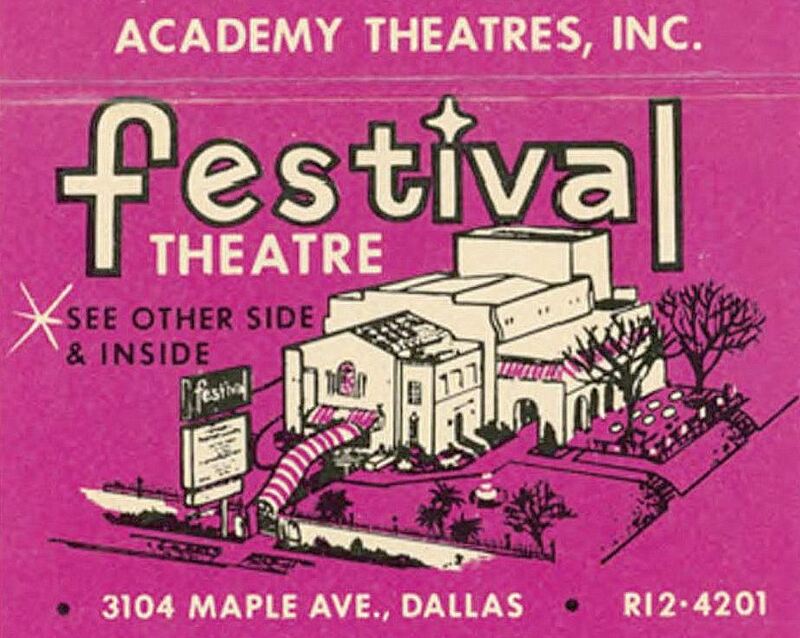 The matchbook cover image below gives an indication of how large the theater was. The building at 3401 Maple — at the corner of Carlisle, across Maple from the Maple Terrace — was gigantic. It was an interesting building with an outdoor terrace restaurant, a full proscenium stage, rehearsal space downstairs below the stage, dressing rooms, shop/storage areas, and even a puppet theatre built into a wall in the balcony lobby area. To see what the corner of Maple and Carlisle looks like now, click here (have a hanky ready). Can you imagine how wonderful it would be to still have that elegant building and still see it in use as a theater and restaurant? 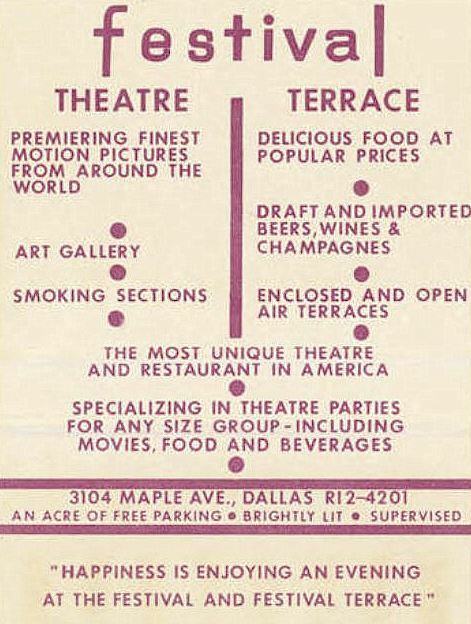 In what may well be research overkill, I thought it was odd that there was an Azteca Theatre at 1501 McKinney a year before Rodriguez owned it. I wondered if, in fact, Rodriguez had owned the first Spanish-language movie theater in Dallas, or whether that distinction belonged to Ramiro Cortez (whose name is often misspelled as Ramiro Cortes). It seems that Cortez’s theater might have featured live performances rather than motion pictures. Like Rodriguez, Cortez had ties to Dallas entertainment — read about him here. Photos with “Villasana” under them are from the book Dallas’s Little Mexico by Sol Villasana (Charleston, SC: Arcadia Publishing, 2011); all are from the personal collection of Mariangel Rodriguez. More photos of J. J. Rodriguez can be seen here (click “Next” on top yellow bar). The full article from the Nov. 22, 1965 issue of the industry journal, BoxOffice, includes additional photos and information and can be seen here and here. All other images and clippings as noted. “Dallas Theater Owner Is One-Man Pan-American Agency” — a syndicated Associated Press article by William C. Barnard — can be read here. Read about Teatro Panamericano at Cinema Treasures, here. 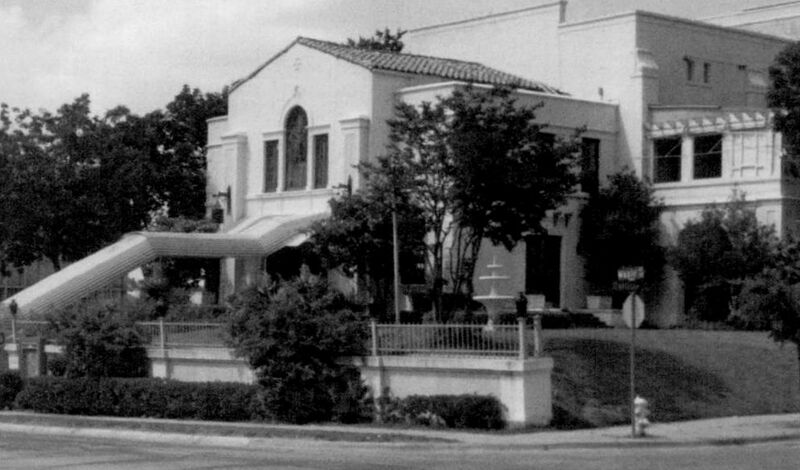 Read about the competing Stevens Theater in Oak Cliff on Fort Worth Avenue, here. I missed your posts when you were silent! I’m rarely silent, but thanks! Thanks! I wasn’t sure if the midnight movies ran up until the closing of the theater. What did you mean to type when you wrote “tickst house”? I loved Bill Cole — he was in my father’s bookstore quite a bit, but I only remember being in his gallery once. That man had some FABULOUS cowboy outfits! I am sorry, ticket house, it has been a long day, Stevens theatere had two locations…..and and they sold the tickets next door to us and Bill cole. You mean the Festival? When it was showing arthouse films? They sold tickets in places other than the theater? That’s interesting. no that was the ticket agency we were next too, cars were coming by at all times of the day I can recall…..Festival was later 1969 right…..there ain’t no contest here, just bad brain thinking. Well we are back on the track, the location is up for a Historical marker and I am going to recommend you story as that basis, since there is a need for such in the area….and you have done a great job, while I hope you will realize your work is not in vane or lost, it is great Dallas History and you should be proud that people love your work, I do and Thank You…..
You are so Welcome native Dallas girl from the heart of the State Fair of Texas…. do a story on bill he had the first modern art gallery that sartor could not show…. I hope some enterprising photographer took pictures of him walking down Cedar Springs. You left out the period in the 1970s-80s when they showed ‘underground’ flicks at 1130 every Saturday night. It was the place to be for all of us stoners. There was always the Mexican audience leaving while we were waiting to get in, looking at us kinda weird ( or maybe it just seemed that way). There was open dope smoking for those shows every Sat nite, and many fond memories. PS, when I found out they were gutting the place in 1981 I went and snatched on to a pair of seats they had removed. I grabbed them and ran down the long steps to the parking lot below with them. I always meant to do something with them, but never did. One of the minor cultural delights of that part of McKinney was the structure at 2205 Caroline, just off McKinney and around the corner from El Fenix. I call it a structure because the 1921 Sanborn map identifies it as a store but circa 1960 it appeared to be a residence. With an evident intent to make fullest use of an odd-shaped lot 2205 had been built as a trapezoid, with the building’s front coming up to the sidewalk at a distinct angle. The effect was such that it seemed to be eternally looking over its right shoulder, producing in the passerby a slight but definite double take.